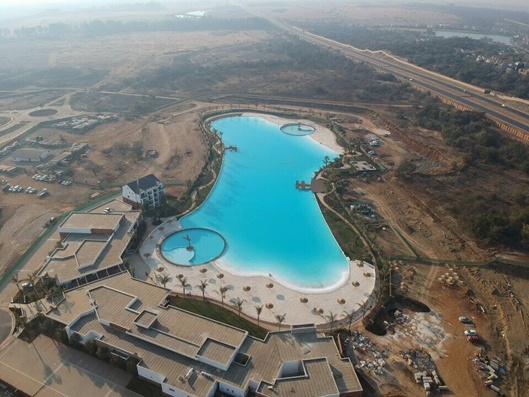 The first clear water lagoon powered by Crystal Lagoons® in sub-Saharan Africa was the centre feature of Balwin Properties’ new development in Pretoria, The Blyde, which officially opened on 08 September 2018. It is certainly ready just in time for the season to come and doesn’t it look so very inviting! Crystal Lagoons, in partnership with Balwin Properties Limited, has created the ultimate lifestyle development complete with a beach setting featuring white sands and crystal clear blue water. The Blyde gives its residents the ultimate lifestyle option of living near or next to the world’s top amenity – an idyllic clear water lagoon. It will also features a state of the art lifestyle centre which includes a restaurant, gym, spa, concierge, laundromat, multi-purpose sports fields as well as two swimming pools within the lagoon. 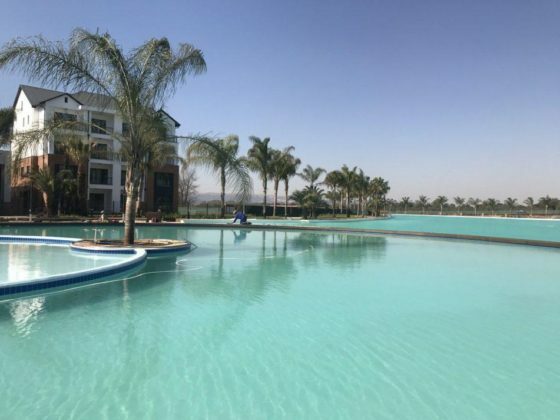 This crystalline lagoon, powered by Crystal Lagoons, at The Blyde, is the first to be developed in sub-Saharan Africa and is expected to raise the bar on new residential developments as a lagoon offers so much more value and appeal for residents and property investors. The Crystal Lagoons water treatment technology offers several environmental advantages over traditional water treatment and filtration technologies, as it uses and is designed to utilise scarce resources, such as water and energy in a very rational manner, providing a sustainable and environmentally friendly solution. Evaporation of water from these pristine crystalline amenities is minimised through the use of a microfilm technology that can reduce evaporation by up to 50%, which means that the lagoon does not have to be topped up with water regularly – as it would, for example, for swimming pools. In fact in some areas, rain water alone fulfils these requirements. A typical Lagoon uses 30 times less water than a standard golf course. The filtration system consumes only 2% of the energy required by conventional filtration systems. With 15 international offices and over 600 projects in 60 countries around the world, Crystal Lagoons has developed a pioneering, innovative, and environmentally sustainable technology that has been patented worldwide. Crystal Lagoons has created the world’s top amenity in the form of tropical turquoise man-made lagoons of unlimited size, which can be built and maintained at very low costs anywhere in the world, using a minimal amount of chemicals and energy.